In celebration of their official announcement, I am officially announcing that I think this is officially awesome. WE (Double-U EE), you know, the guys who make that sweet MK16 GBBR I reviewed recently, have created what they are calling an Open Bolt System that further adds to the already very realistic replica Airsoft guns they make. I should note that they also make an M4 or two, as well as an attractive replica of the Knight's Armament Co. PDW (Personal Defense Weapon). Just watch the video and tell me how much you agree (or disagree) with all the Win going on within. I would love to snag one of those new Tan PDWs for some CQB action. Honestly, I want one of every color of every model they make, but some might say that would make me greedy. I wouldn't use the word greedy. I would say more like, "I love Airsoft" is more like it. That's all. No biggie. Toe-may-toe/Toe-mah-toe. I also have it on good authority that they've improved upon their current hop-up design to improve accuracy. You'll recall in my MK16 review that once the proper BB was selected, accuracy was pretty darn good with no modifications. I don't know that they have released any of the guns with the new hop-ups in them just yet. However, I spoke with the WE Managing Director who was very gracious in informing me of a very simple and free mod you can do to further improve your accuracy. 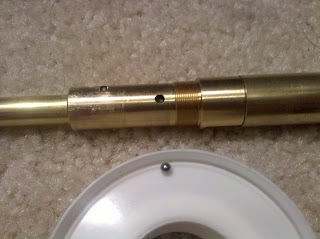 The little metal ball bearing used in the hop-up should be replaced by a 2mm segment of a 2mm rubber o-ring. 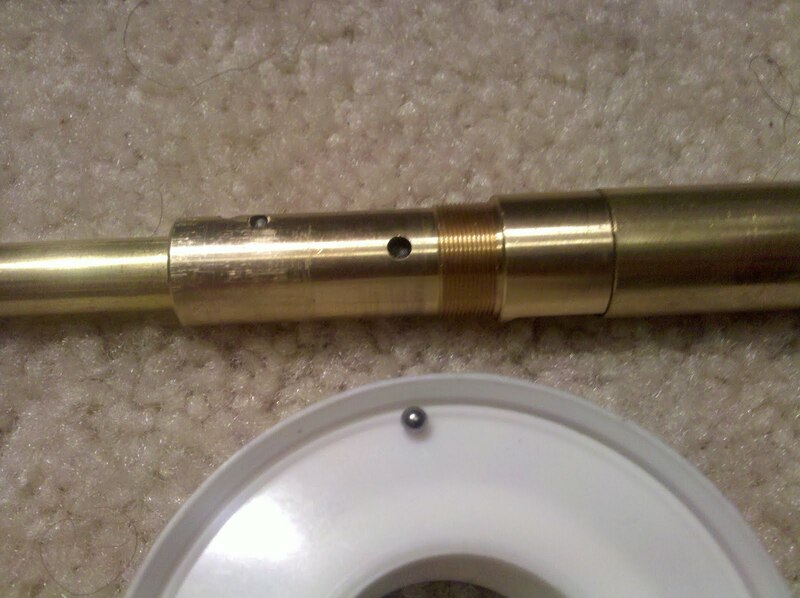 James, (The Director) informed me that you just drop that little piece in where the bearing would go and you can expect your grouping sizes to be reduced even further. Here's a shot of the spot I'm talking about. As soon as I get a chance, I plan on testing this mod out to see if it helps at all. I've got a big weekend full of Airsoft gaming coming up, since I'll be attending the Echo1 Appreciation Day Event that I posted earlier, along with some more action on Sunday, so it won't be this weekend, but it will be soon.